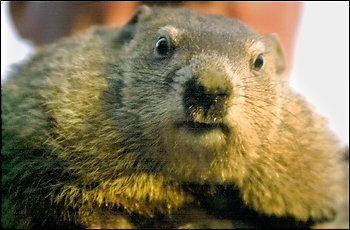 Each year, Americans celebrate Groundhog Day on February 2. That’s right. For the past 125 years, we’ve had a day celebrating a rodent. Punxsutawney Phil is a legend. He has his own website and Twitter feed. They even made a movie about it starring Bill Murray alongside the furry fella. Every February 2, people from all over the country wait to see if he sees his shadow. You see, Phil is something of a amateur weatherman…some may even call him a prophet. If he sees his shadow, legend has it that there will be six more weeks of winter. If he doesn’t see his shadow, we’ll have an early spring. As fun as it sounds, we all know that the first day of spring is March 20 or 21 depending on the year and it’s almost EXACTLY six weeks from February 2. Shh…don’t tell Phil. The reason I started this article with the Groundhog Day history is that February 2 is also National Job Shadowing Day. Championed by the Bureau of Labor Statistics, Junior Achievement and many other organizations, National Job Shadowing Day provides job seekers and youth a unique look into different industries and careers within those industries. It’s a great way to learn from others in the role, gain perspective from their experience, and get a true feel for that particular job, company and industry without the pressures of an actual interview. Please note: While it’s not an actual interview, I would highly recommend you being just as professional as if it were! You never know where this experience could take you. In the job search, shadowing can be very beneficial. Even if you’re gainfully employed, it’s a great way to learn more about what makes the company work. I’d like to cover both sides: Job seekers and employers. Below are two key points for each. It’s not an all-inclusive list, so if you have other suggestions, please include them in the comment section. Spend “A Day In the Life”. Job shadowing is a perfect way to spend a day in the life of someone, learning from their experiences and truly stepping into their shoes. Ask someone in a position you’re interested in to spend a day or half-day with them. If they consent to the full day, ask for the experience to be as authentic as possible. If that means your day begins at 4:00AM in a distribution center, then go with it. It’s really the best way to get a feel for the opportunity while not actually working for that company or officially interviewing. Make the connection. Get the person’s contact information and ask if you can stay in touch with them throughout your job search and beyond. Don’t just view job shadowing as a one-way street. Believe it or not, the person you’re shadowing is probably learning just as much as you are! Offer your perspective and insight on processes and business practices. Ask a lot of thought-out questions. Do your research, though. Don’t ask questions like “what does your company do”. Instead, ask questions like “how do you market a certain product” or “what do you like most/least about your job”. People love to talk about themselves! Asking the right questions will help you gain insightful perspective into the industry, company and position. Prepare & Participate. I would highly encourage businesses large and small to participate in the job shadow opportunities available. It’s a great way to showcase your company, your knowledge, and your culture. But don’t just jump in without a little preparation. I’m not saying that you should create a canned speech about Company XYZ, but it’s good to have some consistency across the board. Have a plan. During the job shadowing, walk the person through the industry, your company, and your job specifically. Give them the real “play by play”, but don’t bog everyone down with the mundane details. We don’t need a minute-by-minute breakdown of what you do, but rather need a high-level overview. Think of the opportunity as a one day internship. Educate, Inform, and Involve. This goes hand in hand with the previous point of prepare and participate. Job shadowing should be about three things: Education, Information, and Involvement. Keep the experience interactive, providing a good education about the opportunity, information about your company and the culture, and involve the person job shadowing in the process. This isn’t a lecture – it’s a conversation. Have questions of your own. Know what you want to achieve. Is it about Branding? Networking or mentorship? Recruiting? Know what you want to get from the process and be prepared to give at least just as much. Now, I know you’re thinking, “Kirk, Groundhog Day isn’t until next week, so why write about it now?” Here’s the reason: You have 8 days to get on the phone, reach out via email, Skype, etc. and ask if you can spend some time with a local employer for a job shadowing opportunity. If you can’t get in on February 2, consider the entire month of February as Job Shadowing Month. The key is actually reaching out and asking. Many companies don’t have a formal job shadowing program, but if you ask, they may be willing to accommodate you in some capacity. My last thought before leaving you to the rest of your week: Don’t let conformity stop you. Just because this hasn’t been done before doesn’t mean it can’t be done. Just ask. The worst answer you’ll get is “no”. If you don’t ask, you’ll never know. Also, don’t let this begin and end in February. Job shadowing is relevant every day of the year! What are your thoughts? Have you tried job shadowing before? Employers: do you have something set up to address the opportunity for job seekers and current employees? Please let me know! Leave a comment below.